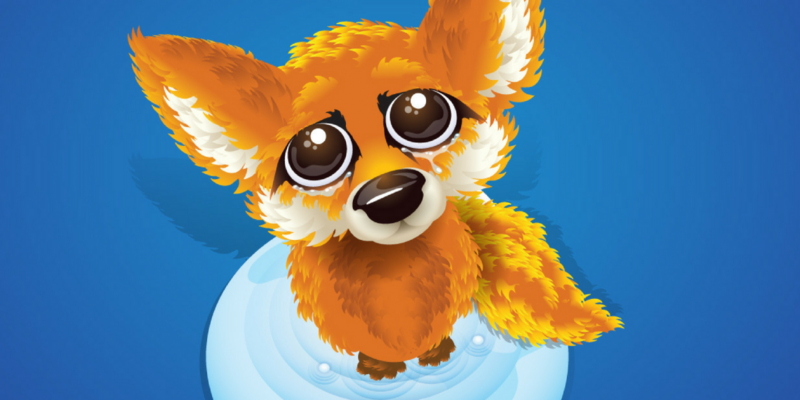 Firefox developers have finally realized the need for change and began to rebuild the browser from the very foundation. Multi process mode, the new system additions, fresh design – these and many other changes are waiting for browser users in the near future. In addition, we are working and on reducing consumption of system resources. 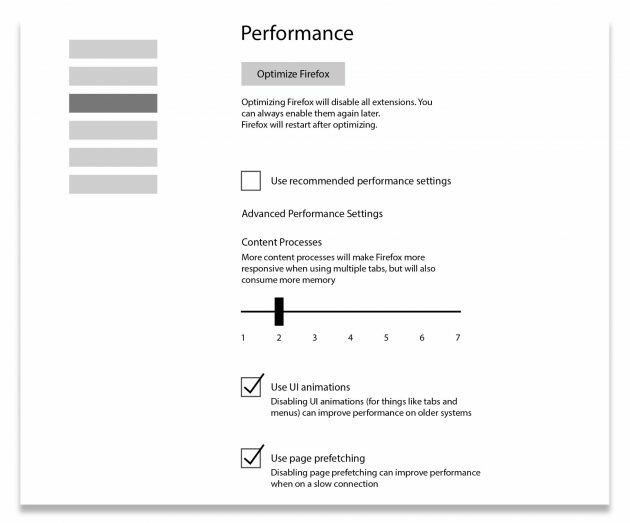 Developers are planning to implement in the new version of Firefox tool called Performance, which will help fine-tune browser performance on slower machines. Here you can find basic settings that affect the voracity and speed of the program. Optimize Firefox button will allow an instant turn off most volumetric expansion, clean temporary files and regain some of the important settings to their original state. Thus, the user just a few seconds to get rid of bugs and brakes, which are usually collected in the browser with use. Note also the slider Content Processes. C It can help you set the number of background processes browser. The more, the faster and more comfortable will switch between tabs. However, in this case the browser will consume significantly more memory, so the owners of slower computers have a difficult choice. 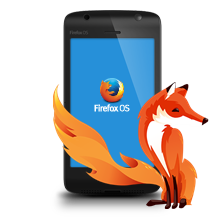 As reported by the sources described above innovations will appear in Firefox 55. To date, the stable version of the browser has the number 52. Therefore, based on exit plans for new releases, multiprocess mode and fine tuning we will see towards the end of this year. Is it too late as you think?